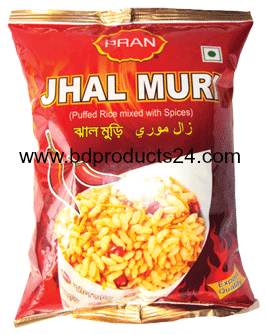 Caution : The Package of Pran Jhal Muri contains added monosodium glutamate not recommended for infants below 12 months. Jhal Muri is a traditional food in Bangladesh. Pran Foods has made it ready made that anyone can take the taste of it anywhere for the first time. Now it is highly popular in Bangladeshis specially in youngsters.